The fifth annual ABC Into the Summer Fun Run/Walk provides serious and novice runners/walkers, as well as families and children with an opportunity to enjoy the outdoors and raise money for a great cause. 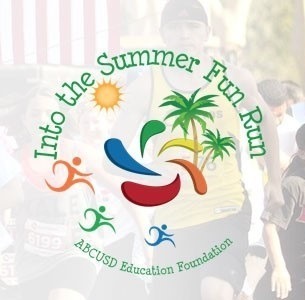 The ABC Into the Summer Fun Run/Walk is proudly sponsored by the ABC Education Foundation a non-profit organization whose vision is to ensure that every ABC Unified School District student and school succeeds by providing funds, resources and expertise to the ABC schools. Please visit abcsummerfunrun.org for detailed event information.